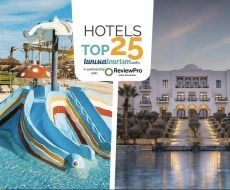 The performance of the last three months confirms the progress of the hotels The Residence and Hasdrubal Port El Kantaoui, which both access the top five. 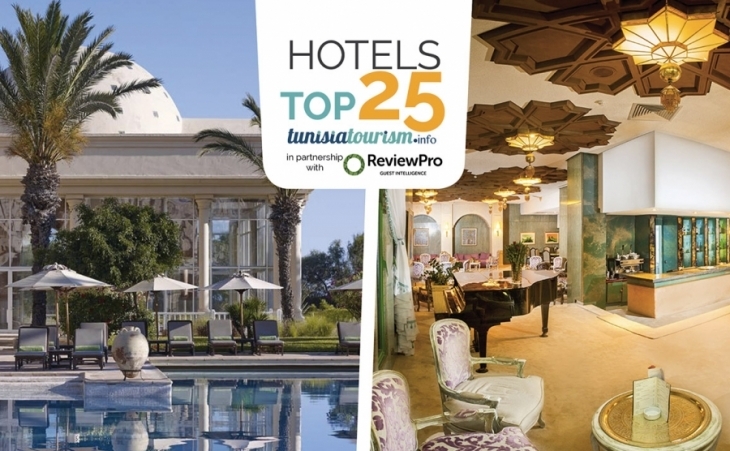 Dar El Jeld Hotel & Spa (Tunis) and Scheherazade (Sousse) are still the consumers’ favourite hotels according to our monthly ranking, taking into account the last quarter (November 1st, 2018 to January 31st, 2019). Thus, they confirm their good performance. 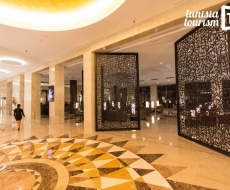 Our ranking is based on the GRI index issued by the Review Pro company, world leader in hotel e-reputation. In order to better reflect the efforts accomplished by the hotels, we take into account the GRI calculated over the previous three months. 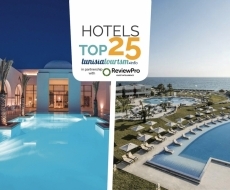 Two hotels confirm that this year they progressed well and achieved excellence: The Residence Tunis (Gammarth) now ranks 3rd and Hasdrubal Thalassa & Spa Port El Kantaoui ranks 5th, while La Badira (Hammamet) ranks fourth. 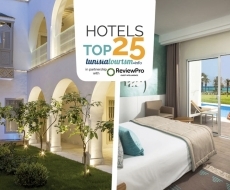 In our Top 25, Iberostar and Hasdrubal are the best represented among the hotel chains with 3 hotels each. 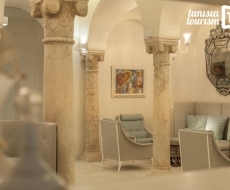 The best progressions of this quarter compared to the previous year were achieved by Medina Belisaire (+9.7), Majestic Hotel (+7.9) and Vincci Nozha Beach (+ 7.3). 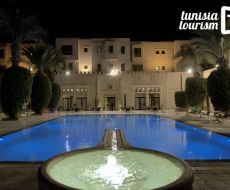 On the other hand, the Four Seasons Tunis confirms its poor performance. Even if it reached the Top 25, its rating is 6.4 per cent lower than last year, thus representing the largest decrease in our table. See the ranking for the year 2018. NB: the “GRI” set out in our table take into account the reviews of the last three months (November 1st, 2018 - January 31st, 2019). Trends towards same period of the previous year.